Here is a chance own a show room condition 2006 Harley Davidson Night Train FXSTBi ridden only 650 miles per season for total of 7,900. Powerful 88cc v twin engine, 5 speed transmission. Equipped with the following extras: custom chrome HD rims, new front tire, new rear tire, custom license plate bracket, high flow stage one kit, vance & hines exhaust system, chrome HD rear swing arm, custom HD horn, HD pegs, Willie G engine covers. Fully serviced ready to ride across country. 90 day nation wide warranty for the advertised price. 650 FICO & Up to qualify for $0 down Sign & Ride! Never any Dealer fees at Motor Export Experts LLC, our clients are always welcome test ride. Buy with peace of mind from a licensed and bonded Florida Motor Vehicle Dealer. We can assist with domestic and international shipping. 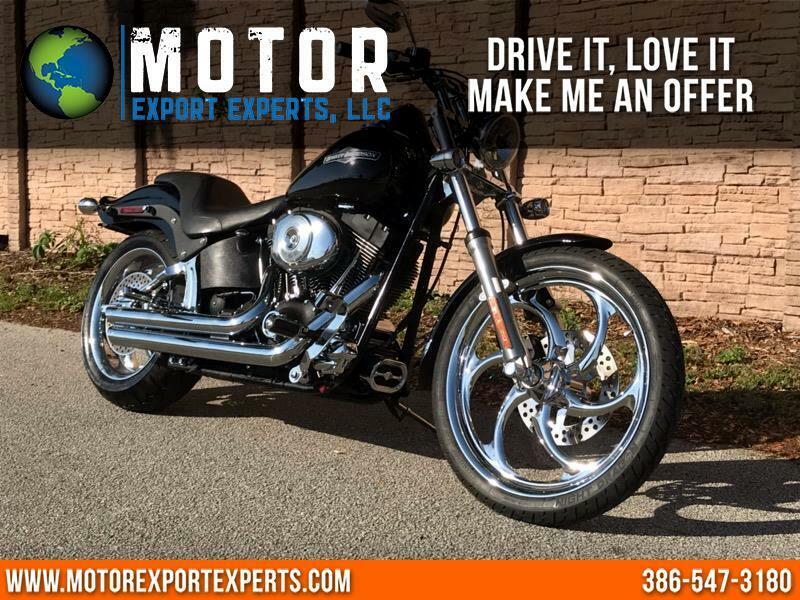 Visit Motor Export Experts LLC online at motorexportexperts.com to see more pictures of this vehicle or call us at 386-547-3180 today to schedule your test drive. Message: Thought you might be interested in this 2006 Harley-Davidson FXSTB. It is the customer's sole responsibility to verify the existence and condition of any equipment listed. The dealership is not responsible for misprints on prices or equipment. It is the customer's sole responsibility to verify the accuracy of the prices with the dealer. Pricing subject to change without notice.